During the summer months, the heat can cause damage to your vehicle. You will want to make sure you follow regular maintenance inspections. By doing so, you will help to improve the overall condition of the parts and components for the vehicle. If you ignore the car and proper care, you will end up doing more damage in the long run for it. 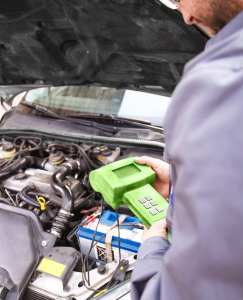 Make sure that you contact us if you are unsure how often the vehicle should be maintained. You can also check in the manual to see when different and various maintenance tasks should be performed as well. By following the guidelines, you will help improve the longevity of the car. You will always want to make sure you follow the proper oil change schedule. Doing so will help to keep the engine and moving parts properly lubricated. Without the oil, these parts can seize up when you drive. The engine can stall out and you will have to deal with a very expensive repair bill. If you notice the oil is leaking and that you need to replace it often, bring the vehicle in. We will be able to check for any issues and repair what would be causing the leaking. You may also notice that the oil is leaking based on seeing any oil spills under your vehicle when you drive away. The other fluid should also be inspected when the oil is changed as well. This helps to ensure that everything under the hood is performing as efficiently as it should be. When the fluids meet the recommended schedule, they should be changed or flushed. This helps to keep the fresh, clean, fluid in the vehicle lasting as long as possible. We can also advise you on the proper schedule based on the make and model of your vehicle. This entry was posted in Auto Repair, Care, General Car Maintenance, Maintenance. Bookmark the permalink.